The seven star playing mantis gathering party location at: “39 east Broadway, 2/F New York, NY. 10002 TEL: 917-386-4191” Date is: “April 27th 2019 Saturday. This is the official website of Northern Shaolin 7 Star Praying Mantis Institute and Association, under Sifu Chiu Leun. The Northern Shaolin 7 Star Praying Mantis Institute and Association is a managed in part by the: Movement Interface Research Institute, Inc (MIRI) which is a non-profit, private (operating) foundation as defined by the IRS and incorporated in New York State. In our present form, we exist to foster useful research, the preservation of the various classical techniques, and methods Northern Shaolin 7 Star Pray Mantis. Moreover, we support and promote the continuous development of our humanity through the cultivation of our physical, spiritual, emotional and social awareness/perception in keeping with Shaolin Buddhist and Daoist/Taoist concepts of expanding self knowledge by reaching beyond self. 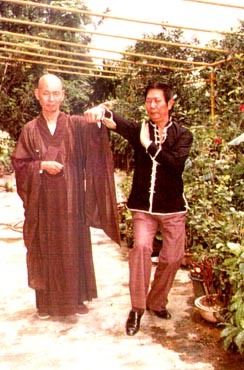 While within the context of our mission we use area of Chinese martial arts system known as Chat Sing Tohng Lohng Kyuhn – Seven Star Praying Mantis, we hope that others will match and better our efforts in their own style or system, within the context of their own personal discover and evolution of social, cultural and physical perceptions.